Many people are under the false impression that OWI cases are impossible to defend, that if you are over the legal limit, you are guilty and there’s nothing to fight about. Nothing could be further from the truth. Cases can be attacked from a number of different angles, a few of which are summarized here. Challenges to the "Machine" and the "Science"
Police offers have to have a reasonable suspicion to stop you and probable cause to arrest you. They cannot question you without reading your rights. These are guarantees of the United States and Wisconsin Constitutions and the Implied Consent Law. If the officer pulls you over for an invalid reason, or gives you a PBT without establishing probable cause to believe you are OWI, or does any number of other things wrong before gathering evidence against you, he may be violating your rights. If the officer does not follow the proper procedures when giving you a breath test, or does not let you have a second, different test on request, he may have violated your rights. If he so much as reads the implied consent law to you incorrectly, he may have violated your rights. All procedures in an OWI case must be followed, and if they are not, the evidence against you is subject to possible suppression. There are dozens of ways that the police can make mistakes that result in suppression. Suppressed evidence means the prosecutor cannot use it against you. If enough is suppressed, then the prosecutor cannot prove you guilty. That makes you legally innocent. Most people arrested with OWI would admit they were “under the influence,” because most people tend to think that if they are drinking at all, they are at least a little bit under the influence. But that is not the law. It is quite possible that a person can feel the effect of alcohol – a bit relaxed, happy – and still be perfectly capable of safe driving and able to exercise clear judgment. People are often more distracted eating, putting on make up, or talking on the phone than they are after a drinking a non-excessive amount. 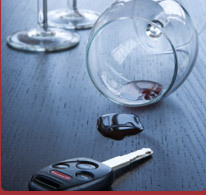 A defense to an under the influence charge can be built around any evidence of good driving. This type of defense is only useful in the absence of a blood alcohol reading over the legal limit. If you are over the limit, you are presumed to be under the influence. A criminal OWI case, like any criminal case, starts with a complaint. A complaint must be sufficient in that it must allege probable cause to believe a crime has been committed. If it does not, it can be dismissed. You have a right to be represented by counsel and to enter your pleas knowingly and voluntarily. If you have prior convictions and did not have an attorney for them, you may challenge their validity for use as a prior in your current case. This can be significant, because each OWI conviction carries more and more mandatory jail. If you can reduce which conviction you are facing, you save yourself a lot of jail time. The Intoximeter – the machine the police have you blow in at the station – is just that. A machine. And worse yet, a computer. If your car has ever broken down or your computer ever crashed, you know machines are not always reliable. They are only as good as their parts, programming and maintenance. The Intoximeter is a machine that, in order to work properly, has to trap the deepest part of your lung exhale, and then blow that air over a tiny little disk that supposedly throws off two electrons – the smallest particles known to man – for every molecule of alcohol in your breath. Meanwhile, hydrogen is also given off, and that forms into water with the air in the test tube, which – long story short – creates a tiny electrical current between the water and the extra electrons. That current is measured, after being greatly amplified, and converted into your breath alcohol reading. The results, therefore, are subject to all sorts of challenges, from challenging whether the sample breath that went in came from the right part of the lungs, to challenging whether the machine, with all its amplified electrons, was in good working order on the day of the test. Another challenge is to other sources of alcohol in your breath. For the machine to be accurate, it needs deep lung air, but that air passes through the upper lungs, mucous membranes and saliva on its way out, all of which can expel excess alcohol that contaminate the sample. It only takes an tiny 1.04 millionth or an ounce of alcohol in an Intoximeter sample to produce a 0.08. Similarly, blood evidence must be scientifically evaluated. Blood, though, must be sent to the Crime Lab, along with dozens of others, and must be handled and stored correctly. There are issues about whether alcohol develops after the draw, and whether the crime lab mixed your sample up with someone else’s. There are also issues with the gas chromatograph; a machine that, basically, vaporizes your blood, then shines a light through it to see how many alcohol molecules there are. Urine is also subject to challenge, primarily in that is mainly a sample of what your BAC used to be. The law is you can’t be over the limit at the time of driving. The alcohol test you are given typically occurs an hour or two later. Your alcohol concentration changes in that amount of time. If you took a drink right before you drove (one for the road, or just finishing your drink) and were stopped shortly thereafter, that last drink wasn’t in your system when you are driving, but would have absorbed by the time of the test. That means the reading on the machine is higher than what your BAC really was at the time of driving. The field sobriety tests (counting backwards, finger to nose, one leg stand, etc.) are the evidence the officer uses to establish probable cause to arrest you, and also provide evidence at trial that you were too impaired to drive. These tests have to be given by the officer precisely according to the instructions, and even then are only accurate a relatively small percentage of the time in showing a person is over the limit (40%-65%).